Like many good PR agencies, we’re hiring at present, which means we have job ads live and are sharing the vacancy over social channels to attract job-seeking talent. We’ve had hundreds of applications as a result–and we’re amazingly grateful for the interest. Trouble is most of those applications are irrelevant. 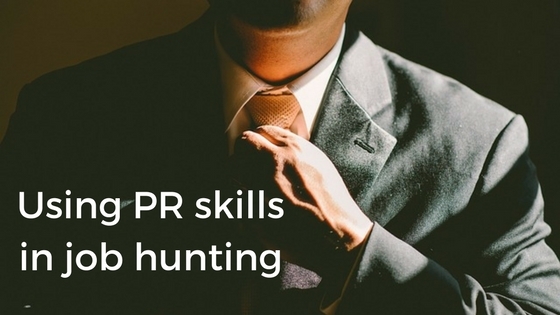 This breaks my heart since a targeted pitch is a core skill in PR. Except this time, these comms pros are not pitching their client, but a subject they know far better–themselves. Yet most applications are (sorry to say) little more than mass-mailed spam, a plague that doesn’t work with journalists and won’t work in job hunting. The logic of these random applications is confusing. Let’s say for an instance, that ‘spray and pray’ is a good way to get an interview (it isn’t). Even if you managed to miraculously get the job, you’ll be unlikely to succeed without the basic skills and experience. Remember, the requirements are not just a hurdle to jump. They are there to assess whether you have what it takes to succeed in the role. Read the job description and decide whether you would enjoy the role, and in candor, have what it takes to succeed. This is exactly the same as deciding whether to take on a new client and if you’re a good fit for the team. For example from the latest crop, an applicant with experience as a celebrity chef publicist is unlikely to be successful as senior client counsel in a B2B technology firm. Do some homework on the company. Visit the site, check the social channels, look at the reviews sites like Glassdoor, ask around. Is this a firm you will be proud to work with? Apply the same skills to your job search you do when researching a publication. Look at your network and see who else works there. Can anyone make a warm intro or give you some background? It’s the same approach you’d use when asking coworkers about how to reach a particular journalist. Use a sniper approach, not a shotgun. You wouldn’t mail merge 100 reporters with an announcement since it would damage the client’s reputation. Don’t do that to your personal rep.
Don’t be afraid to follow up after a few days. It’s hard to see the best resumes, and you don’t want yours to be ignored accidentally or put into the wrong category by mistake (easily done in applicant tracking systems). Use the same judgment you apply to follow ups with journalists. A reminder is good, a ‘Did you get my email?’ less so. Respond quickly to questions from the recruiter. For instance, I’ll ask about relocation plans for strong candidates not based locally. 75% of the time, I never hear back. Now perhaps that’s me (sniff), but it’s consistent, so I’m guessing the CV carpet bombers don’t respond. Speed of response is another core PR skill, so demonstrate it.